As Roberto Martinez prepares for his first competitive match at Goodison Park, we have trawled through the record books (thanks to Everton Results), to see how all 13 of our former managers performed on their Goodison debut. It is fair to say that Martinez will be looking to continue a long tradition of getting off to the best possible start in front of the home fans, with only two managers losing their first competitive outing at the Grand Old Lady. Not since Ian Buchan in 1953-54 has an Everton manager lost their first game in charge in front of the Goodison crowd. Indeed, so bad were Buchan’s Blues they failed to win any of their first seven games of the season and by the time Blackpool defeated Everton 2-3 in the first home match, the Toffees had already suffered a 5-1 reverse at Leeds United. The only other manager to lose their first home encounter was the Blues very first manager Theo Kelly. Shortly after the directors of the club appointed Kelly, Everton lost the opening match of the season in disappointing fashion, with Brentford leaving Merseyside victorious by 0-2. Of course that is not the full story. 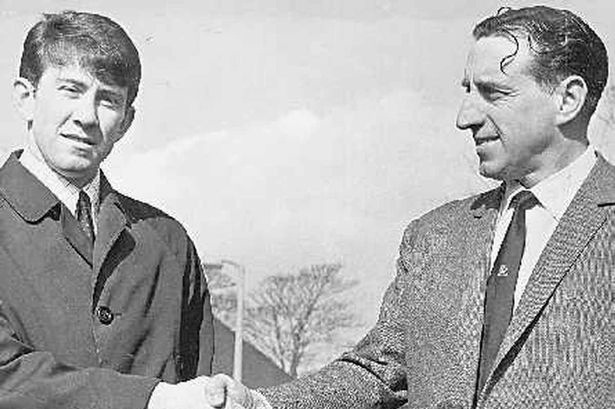 The clubs most successful manager Howard Kendall, had three spells in charge of the Blues. His very first Goodison encounter ended with a resounding 3-1 victory, Ainscow, Biley and Eastoe the scorers as the Blues defeated one of his former clubs, Birmingham City. Midway through the 1990-91 season Kendall returned to replace Colin Harvey, looking to return the club to the glory years of the 80s. As his spells in charge of the club got progressively worse so did the opening results, his second homecoming ended in a 1-1 draw with Spurs thanks to a Stuart McCall goal and his third managerial home debut ended in defeat as a poor Everton team lost 1-2 against Crystal Palace with Duncan Ferguson getting a late conciliation. So what about the rest? Joe Royle and David Moyes took over the club with their teams in deep relegation trouble, but made an instant impact, both winning their first games, both of which took place at Goodison. Everyone old enough will remember Royle’s first game, a passionate Merseyside derby which Everton won through a ‘Dogs of War’ performance and goals from Duncan Ferguson and Paul Rideout. Moyes’ debut was equally as impressive, David Unsworth scoring in the opening minute, before Duncan Ferguson added a second. Everton were down to 10 men before half time after Gravesen was sent off, but the Blues held on for a 2-1 win. Mike Walker’s reign was a disaster, but it did start well with a 6-2 home win over Swindon. Tony Cottee scored a hat trick, with Ebbrell, Ablett and Beagrie on the scoresheet. The Blue support must have known how bad things were about to get as just over 20,000 turned up at Goodison to witness the match. Colin Harvey won his first game by a narrow margin, just like Martinez, his first opposition were Norwich City, however the Canaries visited Goodison and left Merseyside empty handed with a Paul Power goal the difference between the teams. Walter Smith, Billy Bingham and Johnny Carey all started with draws. A sell out Goodison crowd witnessed Smith’s Blues play out a disappointing 0-0 draw with Villa. Bingham managed a 1-1 draw at home to Leicester and the recently departed Dave Hickson was on the scoresheet as Carey’s Everton opened with a 2-2 draw against Blackpool. Gordon Lee took over from Bingham and was tasked with transforming an Everton side that had been trophy-less for 7 seasons. His first game in charge was an FA Cup replay at home to Swindon. With minutes remaining the Blues were heading out the cup, only for Jones (83) and Dobson (89) to turn the tie round and secure a precious win. Everton’s two other mangers both started with resounding 4-1 wins. Cliff Britton’s side earned a comfortable win over Preston, with Dodds scoring a hat trick and Stevenson adding a fourth. Harry Catterick, who sits alongside Kendall in terms of great Everton managers also started in the best possible way. Everton legends Roy Vernon, with three and Alex Young, with one were the goal scorers as the Blues breezed past Arsenal. Enjoy the videos of Royle’s and Walker’s debuts and let us know your memories of any of the encounters mentioned above.